The warm, bright days of 2019 has already begun! Spring is already here! For facilities and retailers, it is getting late as the nicest days of 2019 are passing to get ready for the summer season! Are you ready for the bright summer days? Do you want your store, online shop or facility to shine during the Summer 2019? 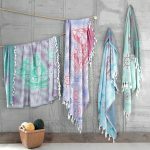 It is easy to shine with our latest fashion & premium quality Turkish beach towel designs! As a wholesale manufacturer of Turkish beach towels, we’re here to help you getting ready to Summer 2019! In this week’s post, we’ll be discussing how to do so! We’ll tell you about our eye-catching designs, heavenly comfortable textures, and how can you use our products! Before we begin, we proudly announce that our YouTube channel is up and live! You can discover videos from our manufacturing process, from our factory and the shipping process! And as a wholesale manufacturer of peshtemals, we’ll think of some new concepts that’d be helpful for you! Subscribe to our YouTube channel to keep updated about the news! We hope you’ll like what you get from it! Shine Like the Bright Summer Sun With Our Stylish Turkish Towels! 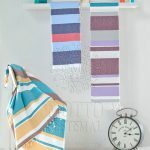 As a responsible wholesale manufacturer of Turkish towels, we work 24/7 to come up with attractive peshtemal designs you can proudly put on the display! As a result of our intense R&D activities, we are confident that we have a Turkish towel for every single type of customers you might have! unique designs like Pirate Beach Towel. The list keeps going and going! In short, we offer a peshtemal design for everyone! You can make your store or e-commerce site shine with our numerous Turkish towels and catch the attention of new customers easily! And do you know what makes our designs even better? The wide color spectrum we offer for every single one of them! You can choose the color that might catch your customers’ attention or that matches your beach club, country club, hotel, spa etc. perfectly! Did you like what you read? Do you want to see all our products? Go on and visit our beach towel products page! 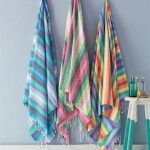 You can discover our entire Turkish towel collection by simply browsing through our online catalogue! Appealing to the Eye, Perfect To Use: Peshtemal Are Heavenly Comfortable! Our Turkish towels aren’t only eye-catching, but also extremely comfortable! As a responsible wholesale manufacturer of Turkish towels, we hand-pick the highest quality Turkish cotton to weave our products with! Luxurious Turkish cotton combined with the unique and efficient techniques that Anatolian craftsmen developed during the centuries, adds up to create one heavenly towel! You’ll be amazed with the premium quality texture of our peshtemal! We’ll be leaving our sneak peak video of the manufacturing process of Turkish towels we just published on our YouTube channel! If reading isn’t enough for you, if you want to feel the high quality texture of our products, go on and send us an email! We’d be happy to send you sample products so you can live what you read above! You can easily find our contact information on our “contacts” page! Yes, our Turkish towels are elegant, and comfortable. The next thing you wonder is whether if they’re safe to use & nature friendly. Absolutely! We said we weave our products 100% from hand-picked Turkish cotton. We also use healthy, anti-allergen, and nature friendly dyes to apply the coolest designs to our products! Our products can be used safely even for baby-care! Do you have any questions about the specifications of our products? Simply send us an e-mail and we’ll response to you as soon as possible! You can find our contact information simply by visiting our “contacts” page! Peshtemal Are Not Only Towels, But Multi-Purpose Tools! 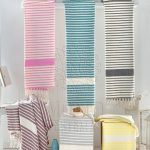 Turkish towels, originally known as peshtemal, are more than just towels! They are a centuries-old Anatolian tradition! 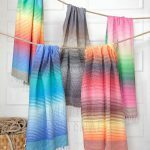 Master craftsmen discovered unique and efficient techniques to weave peshtemals! And as a result, peshtemal became an irreplaceable part of Anatolian people’s lives! It became more than a towel! It is a multi-purpose tool! As a peshtemal manufacturer and exporter, we continue the centuries-old tradition, and we manufacture multi-purpose Turkish towels of high-quality and elegance! We don’t only offer you normal textile products. We manufacture items of cultural and historical value which you can proudly offer to your customers! If you liked this short summary, you definitely should visit our “History of Peshtemal” page! You’ll find detailed information on the historical and cultural values of our dearest peshtemal! Be sure to follow our Facebook, Instagram, Twitter and YouTube accounts to keep updated about our newest Turkish beach towel designs, the features of our products and new blog posts about them! 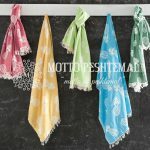 Motto Peshtemal, wholesale manufacturer of Turkish beach towels, wishes you a beneficial Spring 2019! Why All of Our Turkish Towels, Bathrobes & Beach Wear OEKO-TEX Certified?